Here are my first impressions and samples from the ION360 U, a 360 camera accessory for smartphones, including 4K video samples clips, 4K live stream samples, and a sample 360 photo! 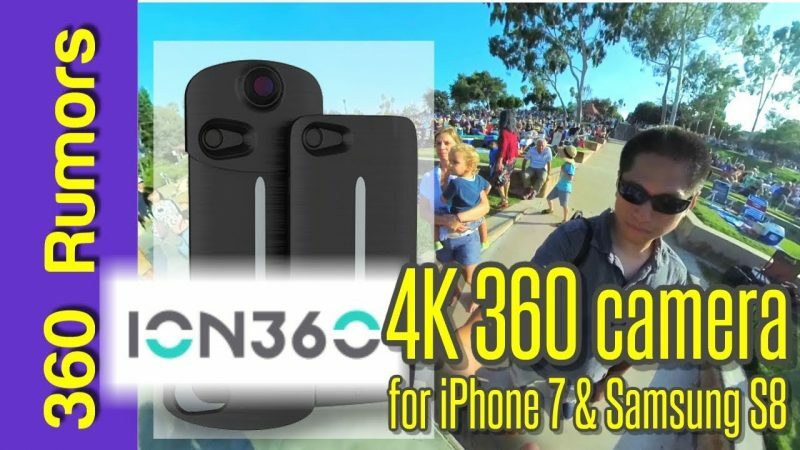 One of the hottest segments among 360 cameras is 360 camera phone accessories that attach directly to your smartphones. Many 360 camera phone accessories have been entry-level 360 cameras that capture 1920 x 960 video. 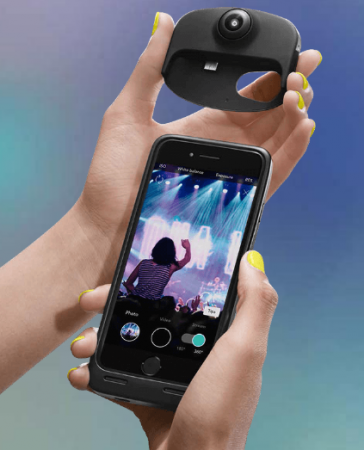 The ION360 U, however, is part of the next generation of 360 camera phone accessories that can shoot at 4K with realtime in-camera stitching — videos are automatically stitched. It can also stream in 4K. The ION360 U also has a unique 2-part design. One part is a battery charger case that serves not only as a battery for the camera component but it can also charge your phone, while also providing some protection. The second part is a removable camera (the camera can’t attach to the phone unless you use the battery case). It’s available for iPhone 7, iPhone 7 plus, Samsung S8, Samsung S8 plus. Besides the image quality, I really like the convenience of the workflow — photos and videos are stitched in-camera in realtime (no need to wait for stitching), and are stored into your phone’s memory. The ION360 U app has a button for sharing to YouTube or Facebook. As I mentioned, these are just my first impressions and I will be posting a full review with more samples. Meanwhile, however, there’s a promo — ION360 U will be $349, but if you preorder on or before August 31, you can get $100 off — at just $249! Looks nice but for all those that will upgrade to the iPhone 8 in 30-60 days, the camera will be useless pretty quick….